To make progress and reach your goals and ambitions in running, it's good to look back and assess come years end. My 2018 review in 12 photos. What have you achieved this year and how will those experiences carry you into and shape your 2019? Thank you as always to my loyal and valued sponsors, who have been beside me on the trails and road, from mountain tops to valley lows. 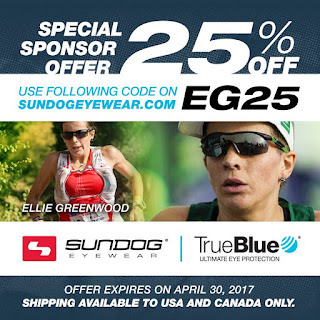 Hoka One One, Drymax Socks, CLIF bar, Sundog Eyewear, Flora Health, Stoked Oats and Suunto (Canada). 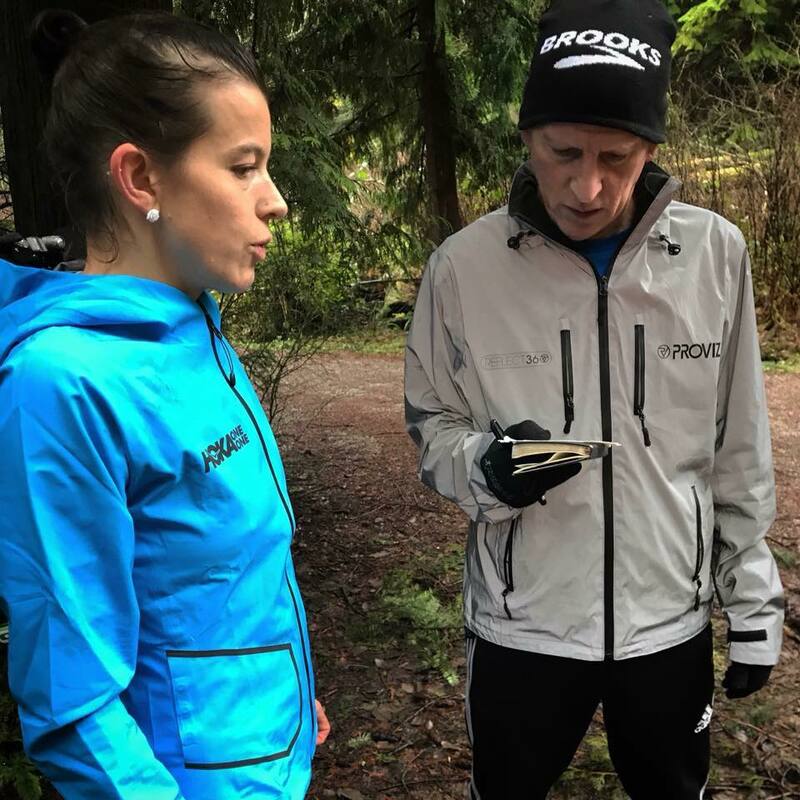 January with Vancouver Falcons Athletics Club coach John. Post trail intervals, reviewing the numbers. 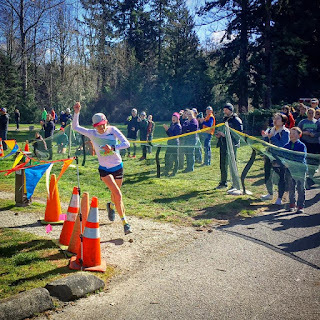 My 7th Chuckanut 50k finish. This race is an excellent test of training in March - you need to be proficient on technical terrain and hills, yet speed in the legs is invaluable too. 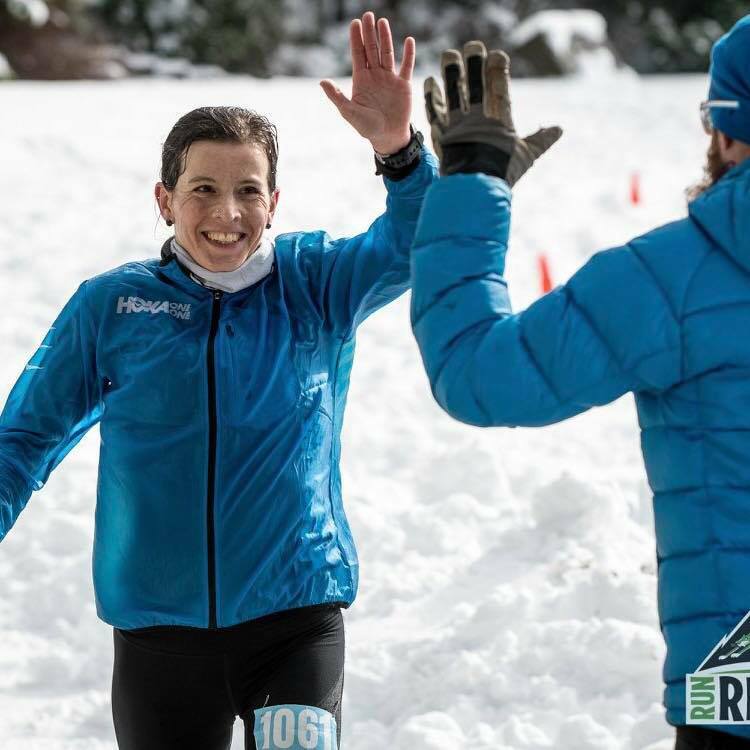 4th F.
Run Ridge Run 20k or so in the snow, was more about staying upright than race times, but happy with a 2nd place finish and a solid effort on the trails. 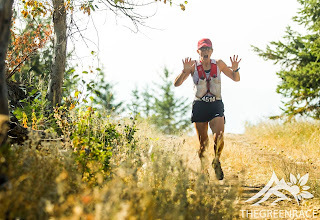 Photo: Coast Mountain Trail Series. Come April it was time to start Wednesday night training running with the Kneeknacker crew. 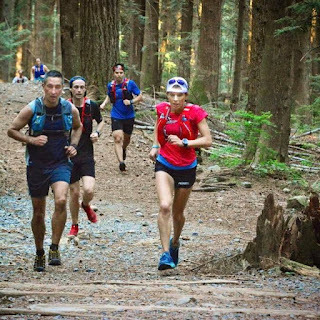 Although I have not run the race for years, Wednesday nights are a great chance for a group run on some of North Vans finest and technical trails. BMO Vancouver Marathon half marathon in 1:19:21 in early May. Stoked to get sub 1:20 - pushed hard on my level of fitness, a long way from a PB but a great race and training stimulus. 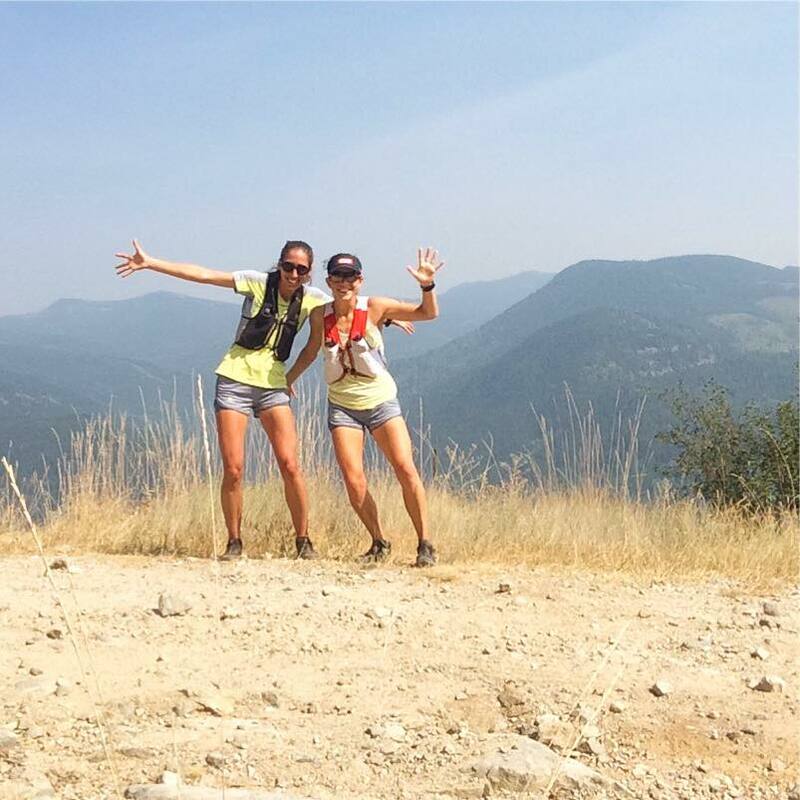 PACE Trail Race Series Wild Horse Traverse 50k in Kelowna in June. Loved these trails, loved the event, stoked for the win. July in the Wasatch mountains of Utah - not a bad spot to volunteer at Speedgoat 50k and get some great hiking in. 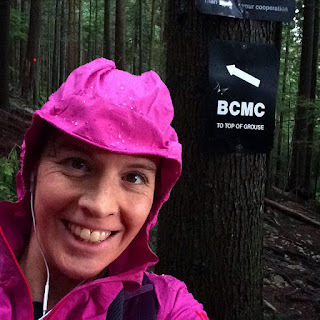 Volunteering on home turf at Bucking Hell 50k. A busy day at the station as runners negotiated a tough course in hot weather. Hiking in Cape Wrath, Scotland in August. Exploring on two feet is always fun - whatever the pace and weather. 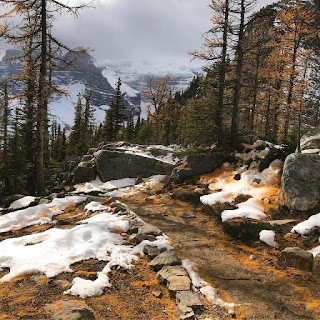 October road trip to the Canadian Rockies. The weather was mild and the late fall colours perfect for this long run/ hike in Lake Louise, Alberta. 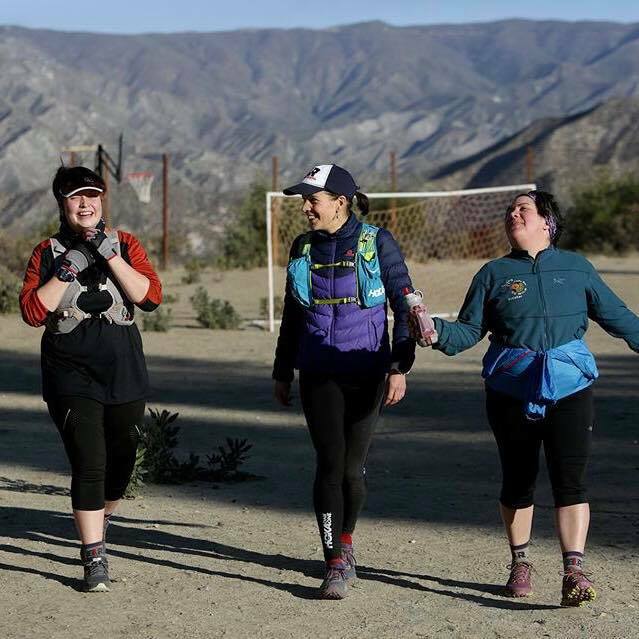 Band of Runners camp outside of LA in November was a highlight of my year. As a mentor it was wonderful to meet and guide some wonderful veterans on this trail camp weekend. 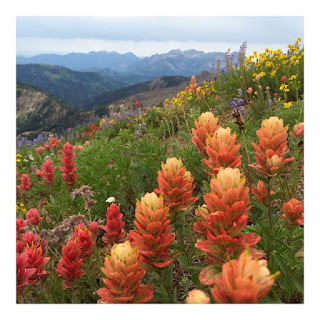 I also completed a 2-day NOLS Wilderness First Aid course and learned a lot to stay safe on the trails. 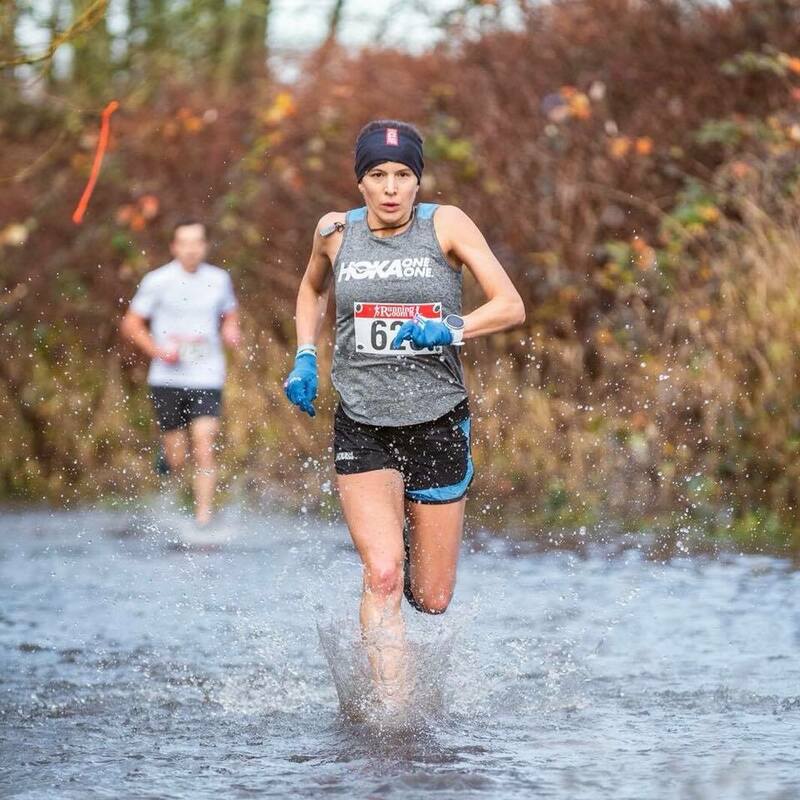 December in Vancouver means rain which means a perfect time to tackle a XC race at Gunner Shaw 10k. A 25 second improvement on last year, and a masters female win. If you want to learn how to race, race XC. A couple of weekends ago I toed the line at another race for a bit of fun and in an attempt to try work my way back to fitness. 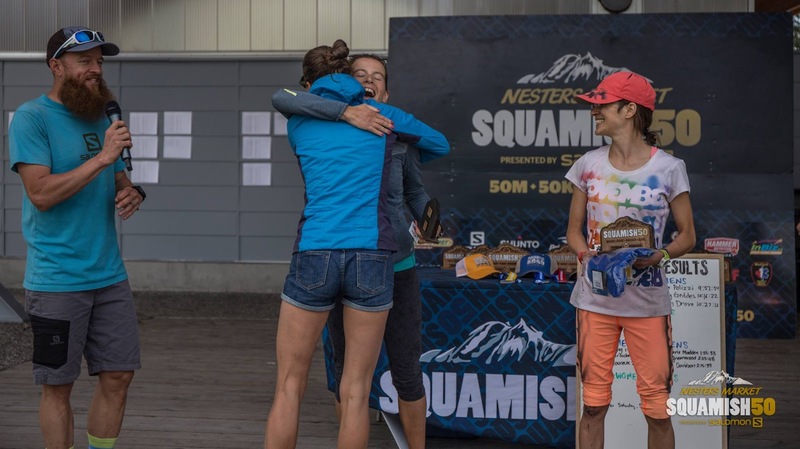 I had never raced Squamish 23k before, although in past years I had raced the 50k and 50 mile distance, but both of those are beyond my capability levels right now and so instead it was time to attempt to run fast and yet what is also a long distance for me currently. It was a weird mixture of having to remind myself to work harder and push a higher intensity on trails that I am used to exerting an ultra effort on, and yet I also knew that I am not really fit enough right now to really push hard for 20+ kms. The gun went off and so did the front of the field, I had placed myself a little bit back as I didn't want to get in the way of the handful of speedsters who I knew would be considerably faster than me. Not surprisingly my super fit and speedy buddy Anne-Marie pulled ahead right away but I was a little disheartened to see my other buddy, Ramsey Ezzat, running stride for stride with AM up the initial climb. 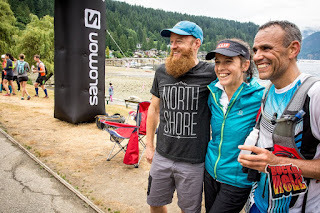 My last experience of racing with AM & Ramsey was at my last ultra, Chuckanut 50k in 2016, and during that race we had spent a bunch of time together as a happy little trio trudging up Cleator Road together and yet now it was clear that (a) I was much slower on uphills than them and (b) this was a sub-ultra race and I didn't have the speedy wheels that they did. Hey ho, a reminder to focus on running my own race. 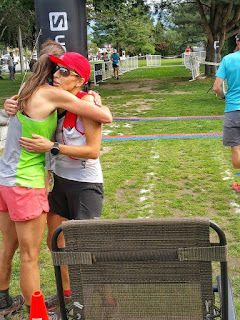 I had only had a couple of loose goals heading into the race - position was not one of them as I had no idea of the other ladies racing and nor did I have a time target as I had never run the race before. So instead my goals were to run as hard as I could and to aim to be just under ten minutes behind AM at the finish, a sensible target given we had raced together two weeks previously so I had a gauge on our relative speeds, it wasn't that I was racing AM but I just wanted to use her as a good motivator to work hard. 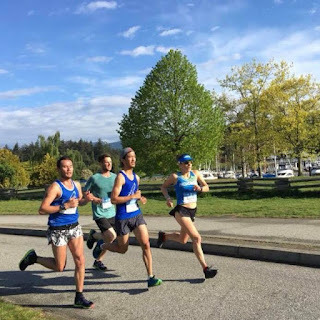 The nice thing about Squamish 23k compared to the two other races I have done so far (Buckin' Hell 15k and Green Race 25k) is that Squamish was a bit of a bigger race and so I had fellow racers in sight for 99% of the race. This made it easier to work harder, to strategise and to stay focused on pushing a good effort. In the early kms of the race I zig-zagged back and forth with a good little group of men and women and this was great to keep the energy levels up. Compared to Green Race where the long 12.5k uphill didn't really play to my strengths, the Squamish course weaves up and down, back and forth - it's fun, it's dynamic and it keeps you constantly changing gears. It reminded me how much I had missed running on these trails and whilst I typically lost contact with the runners ahead of me on each small uphill, I was still pleased with my ability to rally and run more uphills than I hoped. AM has won SQ23k every darn 6 years the event has been held. Amazing. Photo: SQ23. However I soon got a little confused along the race course - each twist and turn would bring back memories of having raced the 50k and 50 miler here, and yet it didn't make sense - these landmarks were really close to the finish and yet I had only just started racing. Something just didn't add up. It was then that the reality hit, yah - 23kms used to be the finishing push in a race for me, and now it was my entire race course. Ok, ok - best to not just think about that, afterall I had more things to be concerned about - like the fact that I was 11kms in and could I really carry on at this effort for another while 12kms? I really wasn't sure. Having done no tempos runs at yet, running this distance at a higher intensity was well out of my comfort zone and so I was grateful that at this point I started to catch Ramsey and have some company to distract from my fears. From there on til the finish, Ramsey and I would shift back and forth - he'd pull ahead on an uphill, I would rally and often catch him on a downhill. 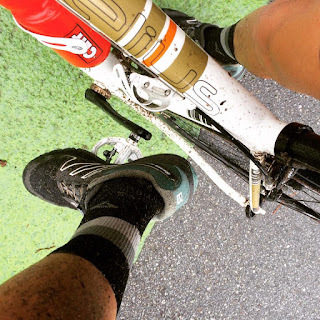 Whilst my cardio fitness and leg strength for uphills are currently lacking, it was fun to be able to weave through the roots and rocks somewhat proficiently on the downhills. The final 2kms or so of the race course end on some very flat tarmac and gravel trail. As I headed onto this long drawn out straight away I saw Ramsey's bright blue shirt ahead of me - ok, time to put the hammer down for a head to head. I can honestly say that that was one of the highlights of my race - my lungs were burning, my arms were pumping and my legs felt like they would not hold on for very much longer at all, and yet I caught Ramsey, we both passed another runner, and then Ramsey re-caught me before we both stumbled, pretty worked, over the finish line. As Ramsey so perfectly put in a text message to me later, 'Thanks for the good old fashioned foot race today. Good to be able to see you able to push that hard too'. There is nothing more fun than a head to head with a friend and there is no better way to really work on your fitness than chasing right to the line. Womens podium: AM, me, Vivian (despite a little detour!). Photo: SQ23. 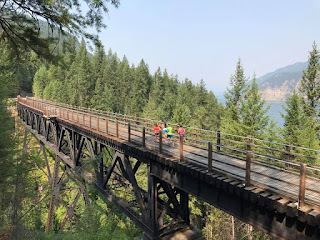 Running in Castlegar ahead of The Green Race 25k. Photo: Martin Cai. 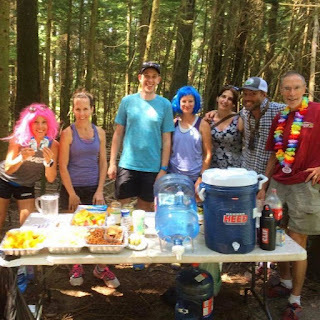 So after very, very, very little racing in 2016 I launched off my 2017 race season with a local 15k trail race ... in July. Sometimes I find it's better that I don't over analyse that sentence as it's just not exactly encouraging. Sure, I have since followed that 15k race up with a 25k race just two weeks later - but that still amounts to just 40 kilometres with a race bib on ... when I used to consider a 42.2k race as a mere training event. In 2012 I raced a total of 950kms ... in 2017 I have so far raced 910kms less and I can't see that I will be making a huge dent into that 'deficit' in the remaining three months of the year. 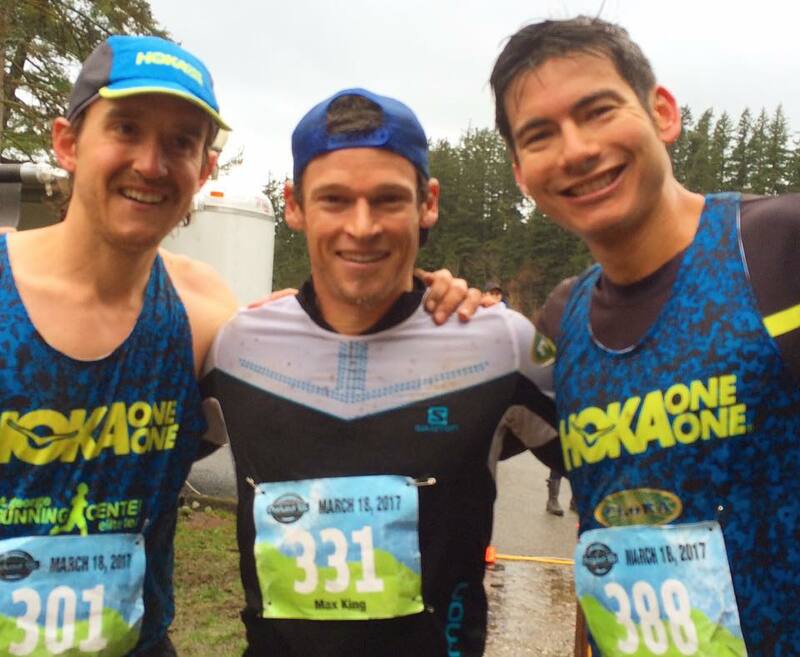 I guess that's ok.
Buckin' Hell 15k finish line with a couple of local running friends. Photo: Scott Robarts. I guess I should be a little optimistic - I mean, I have managed to string together some weeks of running that made me think I could race 25kms and not suffer too many injury setbacks afterwards. I say not too many as I am far from running without any aches and pains. Sure, I know many of you reading this will say 'well, I always have aches and pains, get on with it' and that has certainly been the reasonable feedback many folks give me - but I just don't know how much discomfort in the form of possible injuries I'm prepared to run and race through. Time will tell. 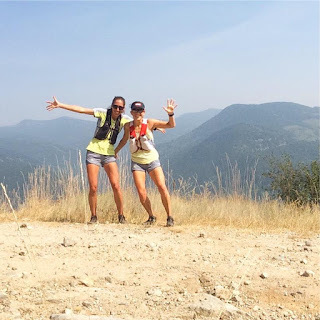 For now I am still a very long way from creating anything that resembles a training plan or a race schedule, and I am still very unsure if I will be able to reach the minimum distance (50k) that is required to be able to call myself an ultra runner again. But most weeks I am trying to add a couple of kms to my long run and I will see if I can build on that week on week. I have made it up to a long run of 33kms so far - I almost died but didn't - so that's a positive! 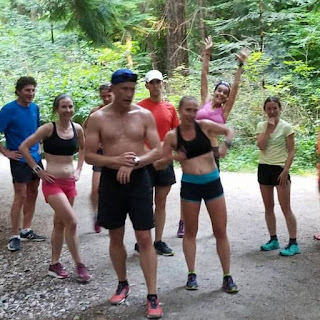 I have also been making it back to my run club weekly trail intervals which was a huge goal of mine as I love those workouts and those are definitely what is needed to try get me back in any sort of shape again. You may think that getting back into running shape is easy but I assure you, it's not. To put things in perspective - I ran 25kms on July 1st of this year and that was my longest run in 14 months (since BMO Vancouver Marathon in May 2016) - yah, my endurance is shot, my legs are not strong and you can now see why I am unsure if I can build to ultra distances quite yet! But I'll keep plugging away and see where the coming months and years take me. Weekly strength work with my trainer (Michelle) is a big part of that too. Hill repeats with VFAC. Photo: Nic Browne. I certainly have made enough progress that I only see my physio every two to three weeks now (yay time and money savings!) 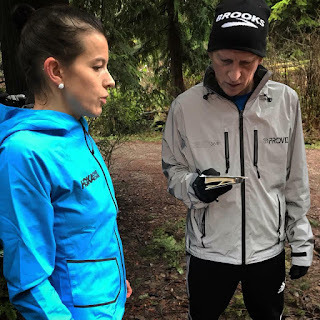 and I am hoping to start working back with my running coach as I feel I have a somewhat shaky but still workable base that we can springboard from to get me back running a little faster and maybe even further. In the two races I have run so far I had no goals other than making it to the finish line as fast as my current fitness would allow and not getting injured. If I came dead last - fine, so long as I was exhausted and no more injured at the finish than I was at the start. I successfully achieved these goals at both Buckin' Hell 15k and The Green Race 25k, and came 2nd in both (against some great runners)! As many runners might be starting to wind down their race season, I'm hoping I can soon get out of the starting blocks without too many false starts. But that's ok, because running has no seasons - it's a lifestyle and one super lifestyle that I hope I can lead again, ideally in the not too distant future. 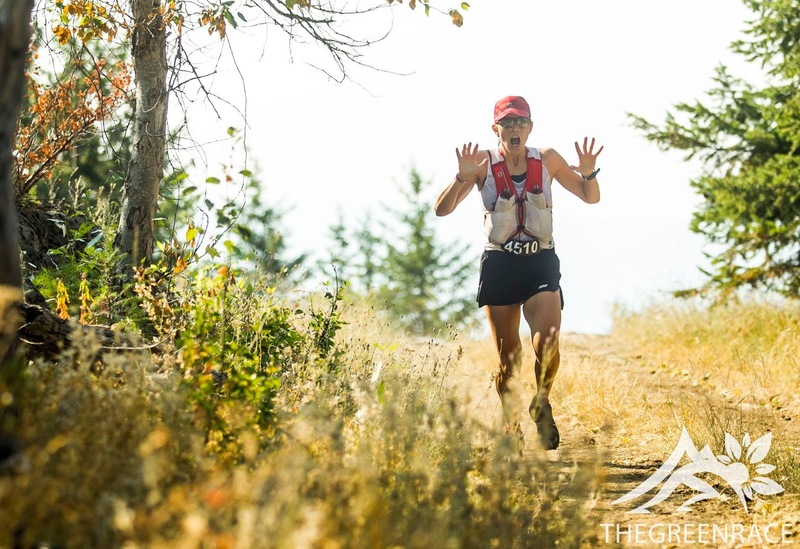 Making my way up the 1200m climb of Mt Sentinel in The Green Race 25k. Photo: The Green Race. Dr, race winner, Salomon teammie, friend. With AM in the smoky Kootenays. When I last updated I was in the middle of a series of prolotherapy injections to try stabilise my lax sacroiliac (SI joint). This involved a weekly visit to the doctor for six consecutive weeks to have 60 injections at a time into my SI and lower back area. Luckily I got local anaesthetic injections each time too so it felt like not much more than an intense session of IMS, and Dr. Gillies - an older British woman - regaled me with stories of cycling in Thailand to distract me. Many folks react quite strongly to the injections and have limited mobility for a few days, but I found I didn't react too badly and was fairly mobile after each session - but that doesn't indicate that the injections (which are dextrose and tighten ligaments) aren't working and in fact they did. After six weeks Dr. Gillies was very pleased that my SI was much more stable, though I will be going back for a booster session in a few weeks time to increase chances that it stays that way. 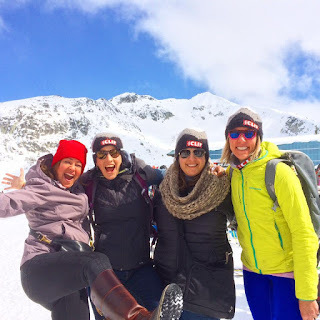 Throughout the course of prolotherapy I was not allowed to do anything that might make the SI shift so that basically meant to activity - no running, no gym work, no hiking, no biking, no swimming. I knew I was getting desperate when I asked if I was allowed to do yoga or not - I'm not sure if I was relieved or not when I was told that that was not allowed either. I was allowed to walk for 2 x 15 minutes day, oh well - at least I could go grocery shopping then! After six weeks of zero activity and much over eating and youtube video watching (I don't have a TV) I was allowed to try a 30 min jog. Man oh man, I can't tell you how terrible that felt. I'm super out of shape right now (but that's the least of my concerns) but everything just hurt - I was tight, tense and my legs were sore to touch. I knew that a lot of this was because I was simply deconditioned to running (or really any movement) and even after a few days of 30 minute shuffles I began to feel a little more human again - my shoulders and back had loosened up and with thanks to the foam roller my legs were beginning to feel a little less like concrete blocks. I wouldn't exactly call it progress but I was getting back to not feeling much worse than before the prolotherapy so that was a positive. My doctor has been checking my SI most weeks since the completion of the six weeks of prolotherapy and so far it is (almost) as good as it was right after prolotherapy, despite a slight increase in activity. So far I have been allowed to try some easy hiking, easy cycling and easy runs, all wearing an SI belt as an insurance policy to hold the SI in place. There's nothing better than wearing a tight band around your hips when you already feel pretty chunky ;) But the basic problem remains that my left leg just doesn't work like my right leg does. This is pretty darn frustrating as I was hoping either the prolo or the six weeks of total rest would really help (and I wasn't too fussy which would help, so long as one did). 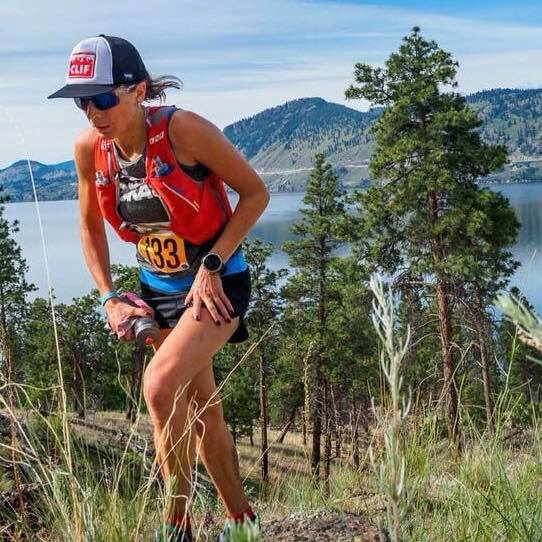 Don't get me wrong, having a stable SI is pretty much essential for an ultra runner, but getting that tightened up has not really resolved the underlying issues of my original injury at all. The original pain in my groin of a year ago is not there (for now) but my adductor is constantly overworked, my left glute refuses to do any work and since around Christmas time my hamstrings have been shouting and so far have not piped down much. Of course with being injured for this long it becomes pretty obvious that it's unlikely fixing one thing will solve the puzzle or that the puzzle will be solved overnight - there are many components at play and it's trying to get them all lined up at the same time that is proving the tricky part. For now I am running a small amount every other day. I really have to emphasize that it is a little - so far 8km/ 5 miles is a long run for me and I don't plan going over that sort of distance any time soon. It's not pain free but it's tolerable and it's keeping me sane - some folks might under estimate that but if a short jog is only slightly uncomfy but keeps my overall body feeling ok and gives me 30 minutes of enjoyment then I feel that is important. For now, SI stability permitting, I'm easing in some other activities to try just maintain my minimal fitness and to get outside, these privileges will be revoked by my doctor at anytime she feels my SI is getting worse. I've been a little scared off strength work for now (a gym incident in January truly showed that my body was fragile) but I'd like to get back at that when I can as I know I have lost pretty much any strength I had, but that's what six weeks of lying on the sofa on the back of 10 months of curtailed activity does to you. I'll be seeing, yet another, physio next week to check out a new angle and I'm waiting to get an MRI (which could be a few months) just to double check the hip area again (I had one back in July but worth re-checking and this should be a contrast MRI which can show more detail). I made two goals at the start of the year - 1, that by December I hope to have run a 10k race (I don't care how slow but at a proper race effort) and 2, that by December I would also run a local trail route that's about 15kms (Headwaters to Norvan Falls for any locals reading). Now we're in mid-April I'm not sure if these are realstic goals but there's still a few months to start making progress. At this stage I am truly grateful for both my sponsors and the medical folks who have helped me along the way. 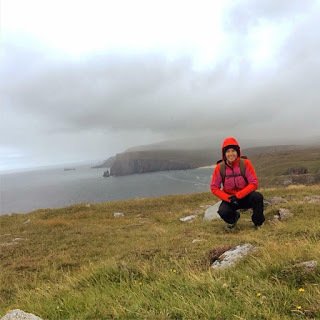 I am also super proud and grateful to my coaching clients - I currently have about 35 clients all over the world training for anything from a half marathon to a 200 mile race, I absolutely love my coaching work and it's always a pleasure to help guide folks to achieve their dreams and personal goals. Whilst my own personal running goals might be on hold for now, I'll never tire of talking about running and helping others to weave their running ambitions around family commitments, busy jobs and sometimes far from ideal training grounds. Dr. Jim Bovard (he says he's getting stubborn, I'm glad because I sometimes feel like giving up). Bobby Crudo RMT (especially for saving me at 4pm on a Friday when my SI gave out in the gym that morning). I helped iRunFar with race coverage at Chuckanut 50k. It was a fast and furious race to watch! 25% off sunnies til end of April! It's not really been great cycling weather but hoping for more sun for more skinny tyre miles. Fun times hanging out with CLIF bar in Whistler. 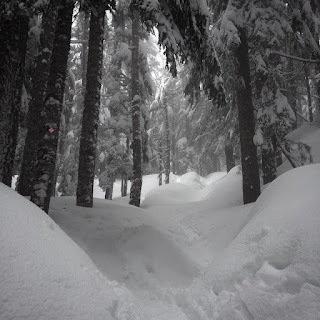 Trail conditions in North Van, April 10th.